Recently I decided to level up my skills by learning Craft CMS. I first heard of it after it was first released a couple of years ago. I had been interested in learning it after having a good experience with ExpressionEngine, which we used at Easy Designs. Craft is made by the guys at Pixel & Tonic. They had been very active in developing EE plugins. From what I understood, Craft was similar to EE. But the guys at Pixel & Tonic were not happy with the slower development cycle of EE. Craft was their solution. Last Fall, I had asked on Twitter about the best resources to learn Craft. Several people came back to me and recommended a screencast from Mijingo, Learning Craft, taught by Ryan Irelan. I was familiar with Mijingo’s training and had used Ryan’s book to learn ExpressionEngine. I would highly recommend the course. He walks you through building a site in Craft. Along the way, you learn the key things you need to know about creating content in the software and getting up to speed with templating in Craft. 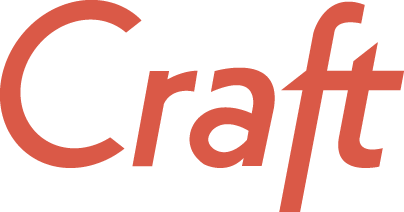 Craft uses the Twig templating engine, which I was not familiar with. The screencast helped me to get a solid foundation to using Craft. The best way to really learn something is to “just build websites.” (As I write that, I hear the sound byte that The Shop Talk Show recorded several years ago at Front End Design Conference.) I had a chance to put that into practice this week as I got the okay to build a new project in Craft. It is a Career Builder site that will include many localizations in different languages. I have learned even more as I have dived in and really gotten to know Craft much better. I think of all the CMS I have used, Craft is my favorite. WordPress was my first CMS I worked with. Then I worked with Drupal for over 2 years. And most recently with ExpressionEngine. WordPress was a great one to cut my teeth on. Drupal was a bit more robust. But I never was a big fan of the user interface. ExpressionEngine was more robust than WordPress, and the interface was a lot better experience than Drupal. And for the most part, EE was much better out of the box as a CMS than WordPress. I have found Craft an improvement upon ExpressionEngine because there is some better functionality out of the box. Many of the popular EE plugins that Pixel & Tonic created are part of the core of Craft. The interface is clean and it is very easy to build sections for whatever your project needs. I also found it easier to create listings of content and then link to the individual pages. Similar to ExpressionEngine, Craft requires you to buy a license. The great thing is that you can use it locally by using yoursite.craft.dev and test out the Client and Pro versions. I think the license is well worth it because you get a quality product that has a lot of functionality out of the box. Learning Craft – screencast course from Mijingo. Well worth the $39.99. Craft documentation (for version 2) – I think Craft’s documentation is far superior to ExpressionEngine. Very clear and helpful. Craft Recipes – just signed up for the newsletter. Not really had a chance to jump into this one yet. Correction: In my original post, I attributed the Structure plugin for EE to Pixel & Tonic, the creators of Craft CMS. I think the similar domain names for Structure (buildwithstructure.com) and Craft (buildwithcraft.com) fed my confusion. Thanks to Erwin (in the comments) and Pixel & Tonic (on Twitter) for the correction. Small correction: Structure was not developed by Pixel&Tonic but by Jack McDade and Travis Schmeisser. Jack launched his own flat-file cms Statamic ( http://statamic.com/ ) a while ago. P&T are best known for their Matrix and Assets add-ons for EE. Nice write-up. Craft is on my list to check out sometime soonish. I’m primarily using Drupal now, and I am also surprised that Drupal 8 is still not released. I have been hearing about it’s development for at least 2 or 3 years now. Quite the opposite of the WordPress development cycle.